This one is a pretty easy one. You can use store bought peanut sauce (and I like to mix it with a little Sweet Chili Sauce) or you can use the recipe provided. Either way it turns out great!! 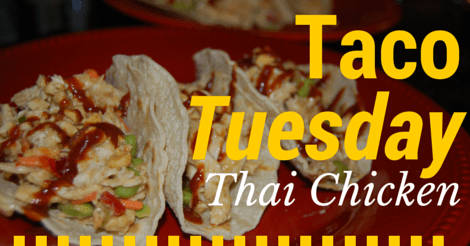 Thai food is ALWAYS great but serve it in a taco and it's pure bliss. Mix all sauce ingredients in a small pan and heat over low, stirring often, until peanut butter is melted and all ingredients have mixed nicely. Meanwhile mix all filling ingredients (and only half the peanuts) in a large bowl. Begin heating the corn tortillas flipping every few minutes until they begin to harden. When sauce is done pour over filling mixture and stir to mix. 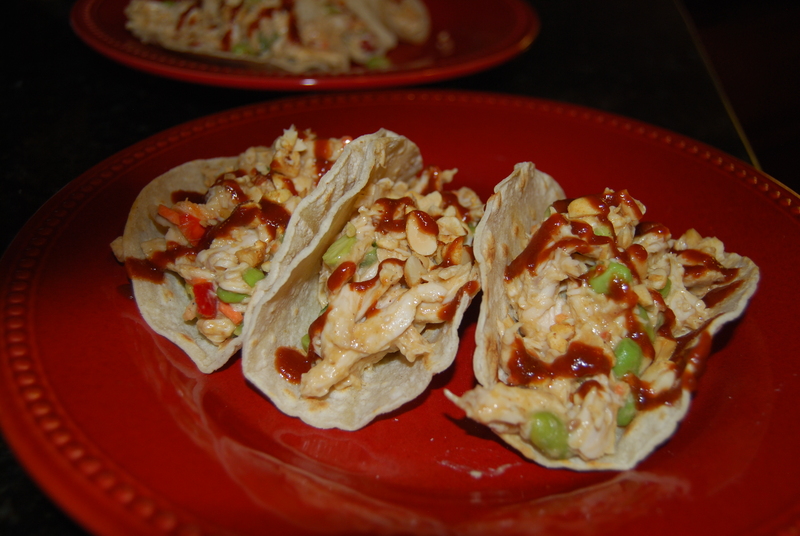 Fold tortillas into taco shapes and fill with chicken mixture. Top with lime juice from the reserved half of lime. Drizzle sriracha sauce to taste (be careful it has a bite). You can also use pre made peanut sauce mixed with Sweet Chili sauce if you don't feel like making the sauce yourself. I would use 1/2 c of peanut sauce and 4 Tbsp Sweet Chili sauce.